“Valley of the Kings” chronicles the 2011 King of the Hammers race which is often referred to as the hardest one day race in the world. The 2010 King of the Hammers video won a 2010 Extremey award for being the best Offroad/Truck video of 2010. This trailer is the first of several trailers that will be released in anticipation of the film’s release and red carpetpremier this summer. Hammerking will be making announcements about the red carpet premier events in the next couple of months and the DVD will be available for sale on the Ultra4 Racing web site. This trailer is the first of several trailers to be released over the coming months in anticipation of this exciting new King of the Hammers movie. HeavyMetalConcepts, based out of Connecticut, has been filming and editing various events in the off-roading community since 2008. They have produced several DVDs, including films for both the 2009 and 2010 RCQ events held at Rausch Creek Off-Road Park in Pennsylvania, and will be doing so again in 2011. 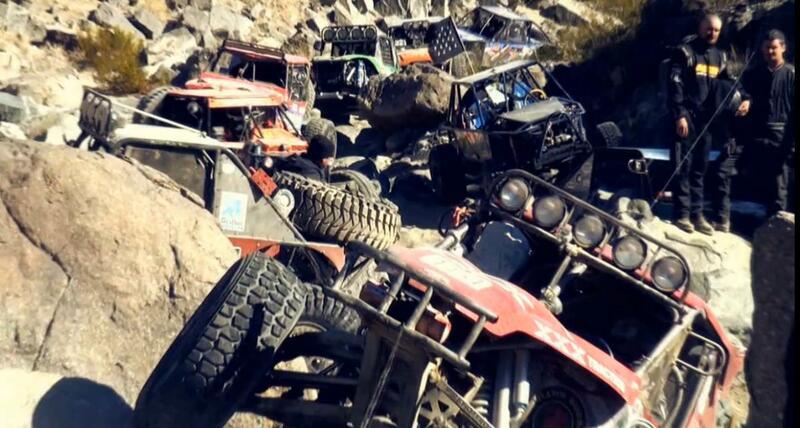 They are currently producing the 2011 King of the Hammers DVD. For more information, visit www.heavymetalconcepts.com.